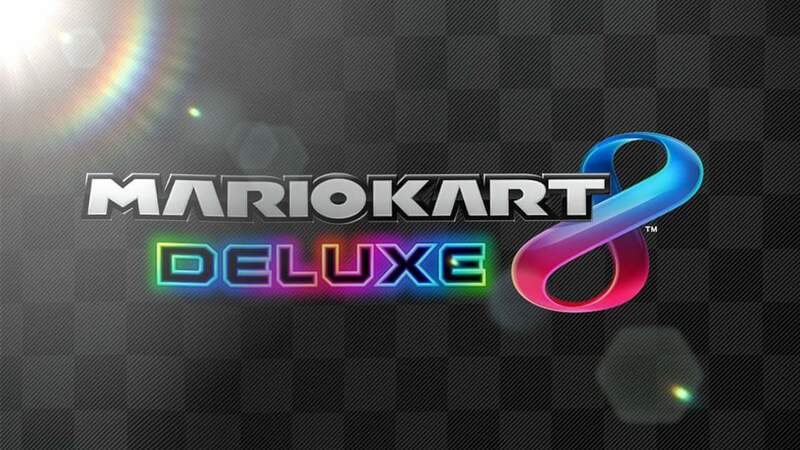 Mario Kart 8 Deluxe released in April of this year. It was an early reason to pick up a Switch close to launch, even for Wii U owners that had already sunk dozens or hundreds of hours into the game. 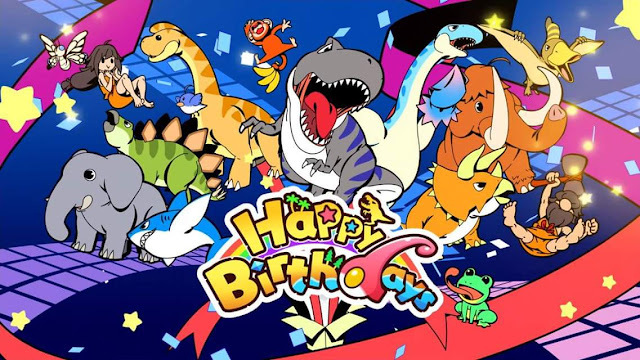 The deluxe version included all of the original game plus it's DLC from the go, plus it had an already active online community that goes strong to this day. 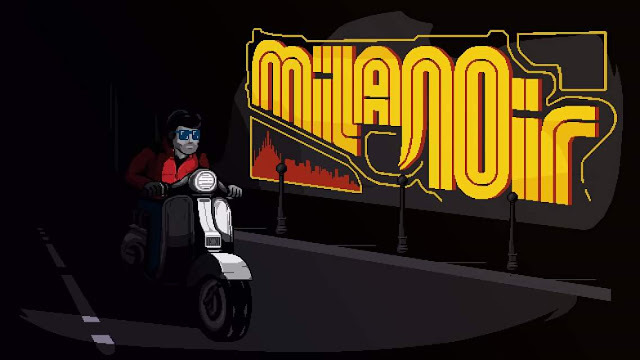 On top of that, it boasts one of the most comprehensive single player campaigns to date for the series, and loads of local multiplayer options. 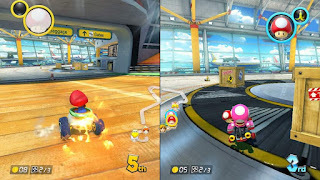 The simplistic controls of the series enabled anyone that bought a Switch alone to race against at least one other friend or family member with the included joycon. The motion control steering is accurate, but not my preferred method. As is usually the case, if you're going to use theptipn controls, it's best to use a joycon. I really feel like the procon just isn't as precise as the joycon themselves. Could just be a perception based on the shorter travel distance necessary for the smaller joycon to register what you're doing, but it still feels better regardless. On top of this, Mario Kart 8 Deluxe also has the distinct advantage of having access to the Switch console's hybrid nature. Play at home docked, handheld, or tabletop. The crisp, bright screen even handles 4 player split screen fairly well in tabletop mode. Long commute to work? 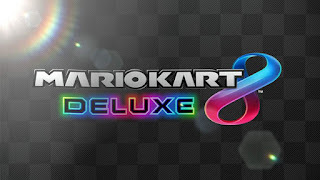 MK8DX on Switch. Playing alone on your break? Switch. Want to play with coworkers on your break? Switch. As can be expected with the series, playing with friends and family in the same room is a blast. To make it even more accessible, the Deluxe version adds steering and acceleration assist modes. This enables younger family members to join into the fun without always being left behind in last place. While turning off these options will obviously result in better control, I sometimes found my youngest on assist mode staying around the 4-6th place spots, even if she had decided that her attention span for the game was spent and abandoned the game to chase the dog around the house. This was especially important when doing family Grand Prixs and we wouldn't have to pick up her controller to finish the race and move on. There are tons of ways to customize your racing experience- different vehicles have different ratings for speed, acceleration, weight, handling, and traction. Tires and gliders also have this same level of depth, which better helps people customize the game to their own preferences. 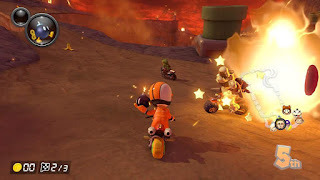 Power-ups add a gambling aspect that is a hallmark of the series, but this balances out skill and chance in an interesting way. While I'm getting ready to wrap this up, I also want to emphasize how great the HD rumble is in this game. One of my favorite ways that a developer has integrated this feature is still the noise the the joycon makes when you pick up or use a coin. It's a very satisfying little "bwing" sound that is very subtle and easy to miss during heated sessions, but you owe it to yourself to turn the sound down and listen for it. You also get a real sense of impact when you bump into walls or other racers due to the wide range of rumbles that the motors can put out. Everyone who owns a Switch needs to own Mario Kart 8 Deluxe.